One of our Reader Questions this week was related to the loss of hotel status and the way forward when it comes to booking hotels for the coming year – should the reader stick to chain hotels? We often get asked the question if hotel loyalty programs are even worth it for the average customer given the mediocre earnings and sometimes lack of promotions. Especially when the account doesn’t carry an elite status and it’s associated benefits the answer to this question is often NO. 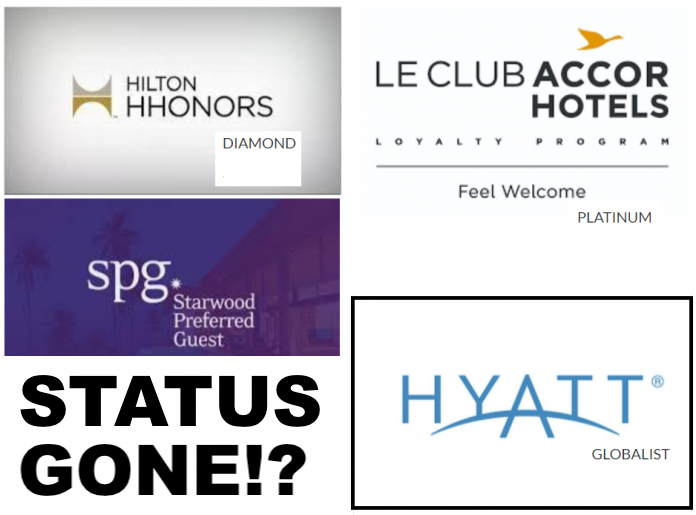 Chain hotels – especially those with the big names – often carry a premium price tag for brand recognition/reputation as well as associated franchise fees, including those for maintaining the loyalty program. Hi guys, I’ve been traveling frequently for my IT job in the last five years and always had top status at a minimum of two hotel companies. I’ve sold my business in 2017 resulting in a complete drop off of any business travel and since last month my status levels have all dropped to practically base level apart from Hyatt which is now Explorist. I made sure to use up my points last year while I still had status. Is it even worth it to continue staying at chain hotels and be tied to loyalty programs? Let’s say this: Alireza is in a really fortunate position of being at liberty to select any nice property he wants and budget doesn’t appear to concern him too much. Promotions have certainly gone south in recent years and one could make the case that if it’s not possible to upkeep a status then it’s better to select independent properties or go for best price through a third party channel. The only status that I can think of where one could put little to no effort into obtaining/maintaining it is Hilton Honors. Fast Track’s to Gold and Diamond are often available via direct signup, status match or by obtaining a credit card product in several markets. As for the readers situation I’d likely suggest that it depends on his personal preference. It’s possible to aim for more luxurious, unique properties by venturing away from the big chains that are attached to loyalty programs. Booking hotels through American Express Fine Hotels & Resorts as well as Virtuoso attach hard benefits to your reservation independent from a loyalty status. You can, of course, tie a loyalty program to a stay if you have one to earn points in the process if the booked hotel happens to be a chain every once in a while. Going after best price is often a better strategy than banking on the returns of the loyalty program over the course of a few years. Using loyalty currency efficiently requires to look out for the best redemption value which isn’t always easy and often demands to wait a long time to find the perfect opportunity to redeem your points – unless you want to take a hit. Losing hotel status can sometimes be very liberating as well as it’s really a hamster wheel to engage in the status chase every year. I’m glad to have locked in some lifetime status levels but top tier levels usually require continuous stays at the chain. Staying at chain properties without any status benefits is usually not worth it in any way. The value comes from complimentary items such as upgrades, lounge, breakfast and of course points bonuses. Without these factors you almost always pay way too much. Next articleThe Winner Of The 100,000 Marriott Bonvoy Points Giveaway Is?